The woman, in handcuffs, was defiant as she was taken to court this morning. 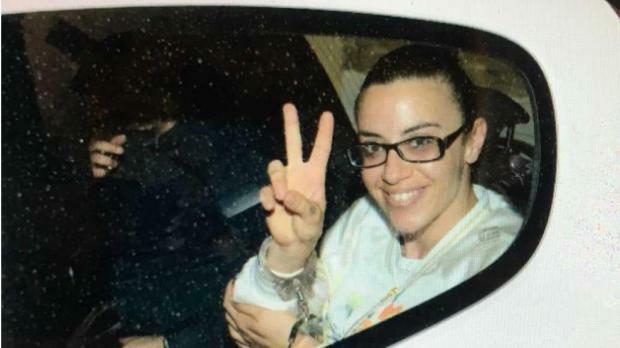 Joelle Galea, 34, of Sliema pleaded not guilty to complicity in a bomb hoax which disrupted the Gozo Channel service on Tuesday last week. Ronald Mallia, 30 of Mosta admitted on Monday of having made the actual bomb threat in a phone call to Gozo Channel. During the arraignment, the police had revealed that they were investigating another person. Mr Mallia was granted bail, pending sentencing, against a personal guarantee of €20,000. Ms Galea was accused of complicity in the bomb hoax and instructing Mr Mallia to make the threatening call. She was also accused of possession of heroin and breaking bail conditions relating to another case in February. No request for bail was made. Reporters were briefly asked to leave the court room for the case to be heard behind closed doors. When reporters were re-admitted into the courtroom, magistrate Donatella Frendo Dimech declared that although there was no ban on the publication of the woman’s identity, any testimony referring to her medical and psychological condition would be heard behind closed doors. Inspectors George Cremona and Omar Zammit prosecuted. Lawyers Jason Azzopardi and Kris Busietta were defence counsel.